Who? 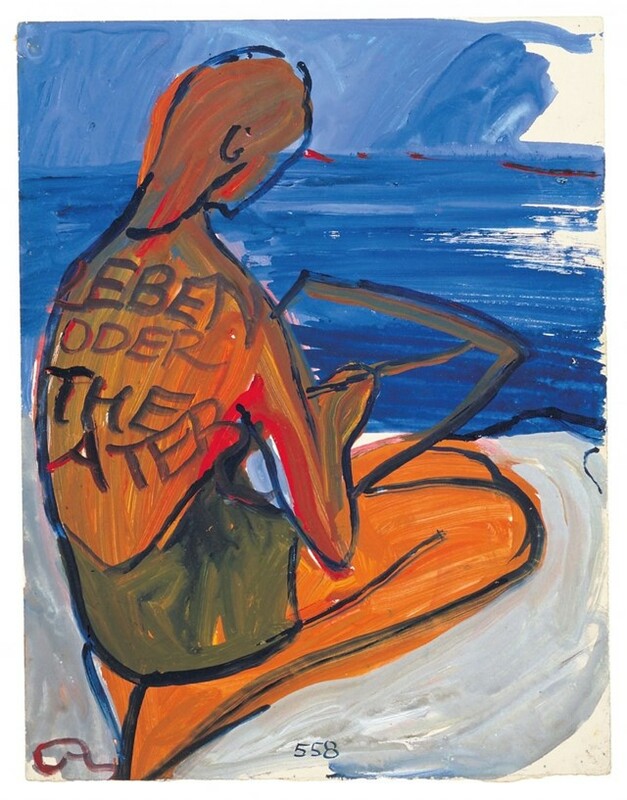 From the summer of 1941 to early 1942, the Jewish-German artist Charlotte Salomon worked prolifically, her intense focus on the creation of a cycle of 1,299 autobiographical gouaches. They would form Life? Or Theatre?, an ambitious narrative collection of paintings. Part memoir, part play, the work comprises 32,000 words, witty monologue and instruction for accompanying classical musical. It remained unpublished until 1961, but now is regarded as “one of the most fascinating and indefinable artworks of the 20th century”. Art? Or Theatre? was physically vast: “Placed side by side, the ten-by-13 inch paintings would reach the length of three New York City blocks,” The New Yorker has noted. 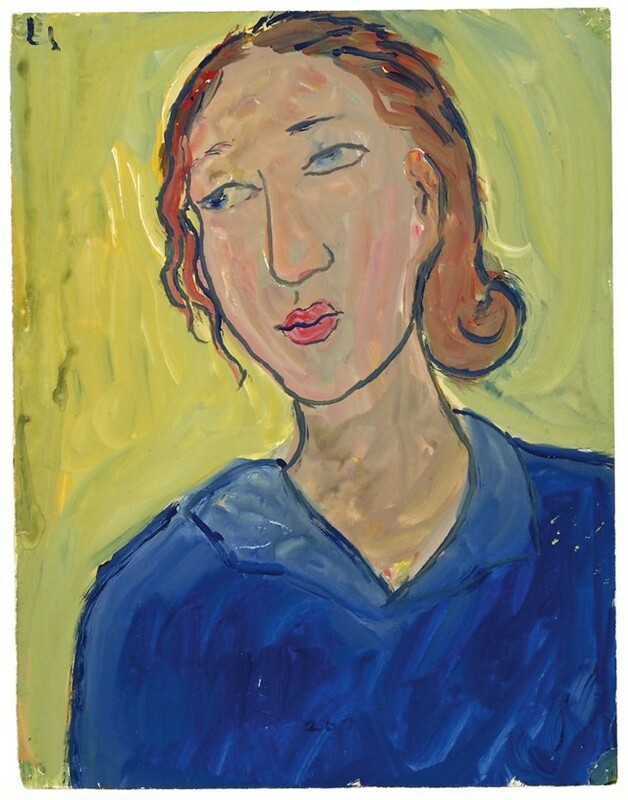 But the work was to be Salomon’s opus magnum; months after completing it, (and five months pregnant), she was taken by the Gestapo and murdered at Auschwitz. She’d entrusted the works with her friend and doctor, Georges Moridis, telling him “Keep these safe, they are my life”. 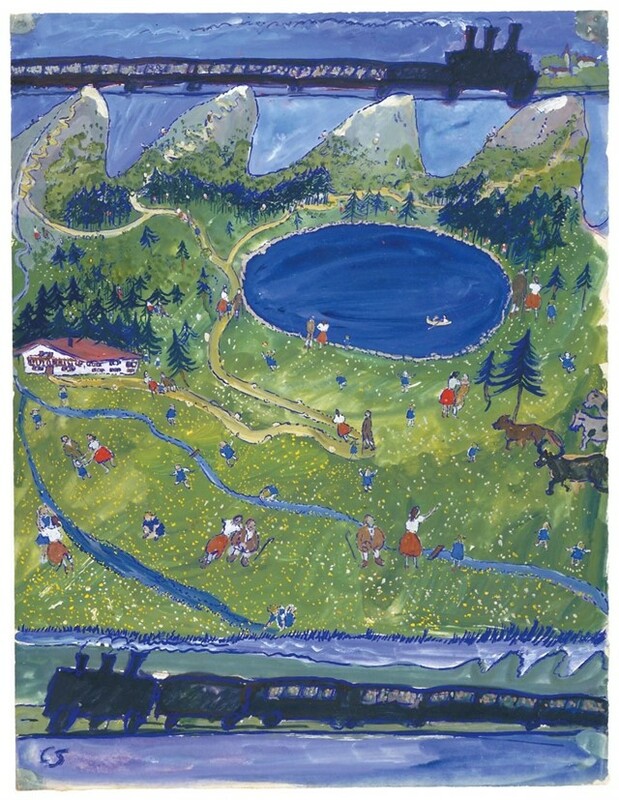 Charlotte Salomon was born in Berlin in 1917, the only child of Franziska and Albert Salomon. They lived very comfortably in affluent Charlottenburg – her father was an early and influential mammography physician. Despite her Jewish ancestry, she studied at Berlin’s Academy of Arts during Hitler’s rise to power – she was so quiet and seemingly undistinguished that she did not “present a danger to the Aryan male students”. However, Salomon also came from a family with a tragic history of generations of suicide. When Salomon was eight, her mother threw herself from a window – though she believed she had died from influenza. It was later, following increasing violence against Jewish communities, schools and businesses in Berlin, that she moved to the south of France and learned the truth from her maternal grandfather, the man widely understood to have perpetrated decades of abuse, causing his own wife and two daughters to kill themselves. What? Following these revelations, Salomon’s personal survival hinged on the creation of Art? Or Theatre? “I will live for them all,” she declared, writing “I became my mother, my grandmother. I learned to travel all their paths and became all of them... I knew I had a mission, and no power on earth could stop me.” She took a room at the Hôtel Belle Aurore, close to Nice in 1942, where the work intensified. Rarely leaving the room (except to accept dispatches of turnip soup), she created up to three gouaches each day. 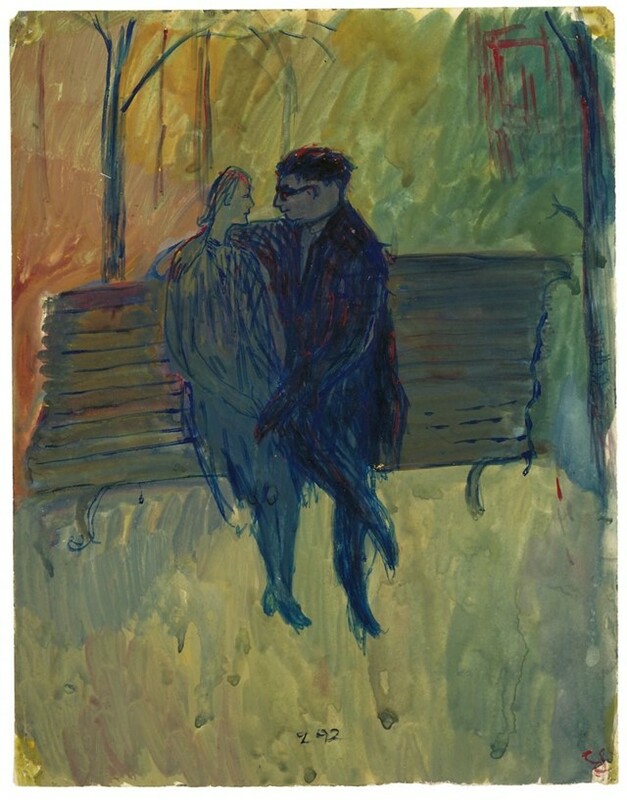 Throughout the cycle, the presence of Salomon’s longtime mentor and lover Alfred Wolfson (known here as ‘Amadeus Daberlohn’) is hard to miss; in fact, she painted him 2,997 times. In one panel, he is a mascot of all-encompassing strength, cloaked in words: “May you never forget that I believe in you”. Why? The fact of Salomon’s awful and premature death (she was just 26) undoubtedly shadows her. But in spite of it, it does contain hope – or at least a sense that she would have overcome her afflictions, had she had the chance, and continued to produce brilliant, searingly imaginative work. 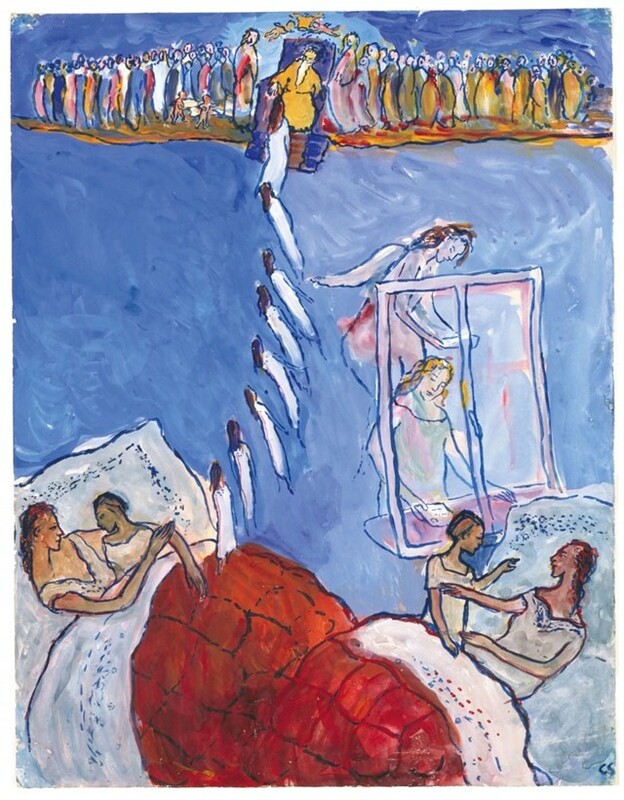 Just don’t call Salomon’s work ‘Holocaust art’ – a label which fails to do justice to its biographical layers, and part in a history of stories of the (minority) self. The final painting in the cycle shows Charlotte painting at shore in a green swimsuit. Her canvas and paintbrush blend into the blue beyond, as if when the work is finished she will swim out at any moment, her story in some way complete. 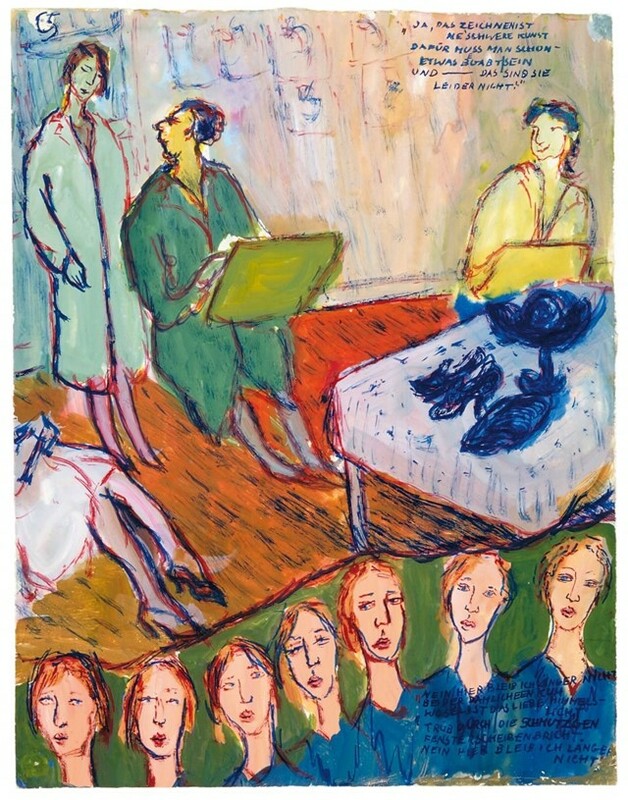 Charlotte Salomon, Life? Or Theatre? is at Joods Historisch Museum, Amsterdam until March 25, 2018. A book of the same name is also out, published by Taschen.